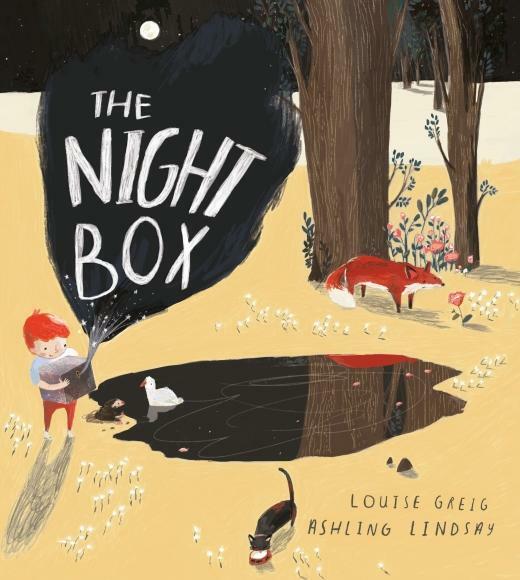 The Night Box written by Louise Greig and illustrated by Ashling Lindsay is a poetic telling of a gentle story about that time and that place where the end of Day and the beginning of Night meet. Max enjoys this ritual. He knows that Night is gentle and brave and kind. But, most importantly, he knows nothing is alone in the Night. The cadence of this beautifully-written story is reassuring and the soft internal rhymes which are gently placed here and there prepare Max for sleep. The illustrations are full of night details such as fauns and kittens and little boys going to sleep and owls and badgers and moles just coming out to play. Most spectacular is the artist’s rendering of a white-winged swan gracefully gliding home through the star-spangled night sky. The Night Box written lyrically by Louise Greig and illustrated with charm and care by Ashling Lindsay is a comforting bedtime story for children 4-7 years of age (Clarion Books/ Houghton Mifflin Harcourt, 2018). Look at the pictures again and find as many animals as you can that sleep in the daytime and come out in the night. What do the words and the illustrations suggest these night animals do while you and Max are asleep? Have you ever seen one of these animals? Draw a picture of your favorite night animal and show it to your parents. Give it a name. Use your imagination. Why do you think Night makes small sounds louder, as this book says? Listen to the night before you go to bed. Can you hear a cricket chirping? Can you hear the wind in the grass? Can you hear a kitten purring? Can you hear grown-ups talking or laughing, cars passing by or a whistle from a train? Can you make the sounds you hear? Go ahead and try---your mouth and your ears will have fun! Max collects the Day and the Night in his magic Night Box. If you had a magic box what would you collect inside it? Why?